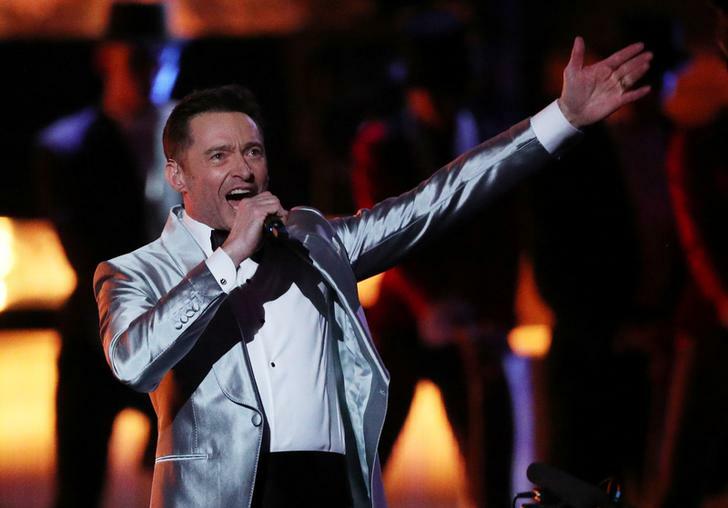 Washington D.C. [USA] Mar 13 (ANI): Hollywood star Hugh Jackman is all set to return to the world of Broadway and will feature in an upcoming revival of Meredith Willson’s ‘The Music Man’. New Delhi [India], Feb 23 (ANI): Remember the magic Salman Khan and Sanjay Leela Bhansali created with films like ‘Khamoshi: The Musical’ and ‘Hum Dil De Chuke Sanam’? They are not just films, they are a feeling. Washington D.C. [USA], May 24 (ANI): Olivier Award winner and three-time Tony nominee Andy Karl has been announced the new leading man for the Broadway-bound musical adaptation of 'Pretty Woman'. New Delhi [India], January 19 (ANI): Looks like Justin Bieber has a strong support from his mother amid the rift between him and Selena Gomez's mother. Washington D.C. [U.S.A], January 16 (ANI): Looks like Selena Gomez` mother really doesn't like Gomez` partner Justin Bieber. Washington D.C. [U.S.A], January 5 (ANI): Turns out, Jennifer Lawrence and Emma Stone share not only a beautiful bond, but also the same stalker. Washington DC [USA], Dec 31 (ANI): The discussion of sexual predators in Hollywood has come a long way and this year it has broken all barriers as women came forward to tell what they have been through in their lives. New Delhi [India], Dec 31 (ANI): Actor Zac Efron may be one of the biggest heart-throbs in Hollywood right now, but even he gets star-struck. Hugh Jackman planning to take a career break? Washington D.C. [U.S.A], Dec 21 (ANI): Hollywood actor Hugh Jackman, who will be next seen in the upcoming movie 'The Greatest Showman', has revealed that he is planning to take a career break really soon. New Delhi [India], Dec 19 (ANI): Legendary musician AR Rahman will be joined by Rajinikanth when his multi-city tour rolls through Delhi.